It is also in the interest of the regulators whose job it is to ensure that businesses, especially publicly listed ones, maintain good corporate governance codes, as businesses tend to learn from each other. If one business gets away with sharp practices, then other try their hand at it as well. Governance is a fundamental part of any functioning entity. The rules and systems which govern how entities function are perhaps the most fundamental thing for survival. Rules and systems that incentivise good decision making generally lead to better performing entities, while rules that incentivise bad behaviour tend to lead to breakdown. Most understand the importance of these rules and systems when we talk about governance with respect to countries, or states. In that instance, fair and enforced rules with proper checks and balances typically lead to countries that make better decisions and end up better off, whereas the opposite of that leads to countries that end up as basket cases. However, governance rules don’t only apply to countries or states, but to businesses as well. The difference being that for businesses, instead of having presidents, national assemblies, and citizens, you have chief executive officers (CEOs), boards, and shareholders. Regardless, the principles of good governance still apply. Businesses which follow a good set of rules and systems of good behaviour tend to perform better than those that don’t. Good corporate governance rules help ensure that businesses work in the interest of their shareholders, and don’t take actions that are not in the interest of the business. Good corporate governance rules also try to ensure that transitions within the company, such as in cases of a change of ownership structure, do not impede the normal functioning of the business. And, of course, any good system of rules has to come hand-in-hand with a system of enforcement. For businesses, such enforcement is typically done by regulators who try to make sure that rules are obeyed and penalities imposed on those who break them. Unfortunately, as most Nigerians can attest to, sometimes the decision makers don’t always act in the interest of those who they should leading. Presidents and national assemblies don’t always act in the interest of their citizens and CEOs and board members don’t always act in the interest of their shareholders. And as you can probably guess, one common reason for this is to remain in power. Presidents want to remain in power. CEOs want to remain in power. Board members want to remain in power and sometimes act against the interest of their shareholders to do so. One common way CEOs and board members try to stay in power is by a process called stock dilution. You see, if a board wants to act against the interests of shareholders, then one way of doing this is to change the structure of the business so that shareholders you don’t like, end up owning less of the company and having fewer voting rights consequently. For example, if a board effectively owns 25 per cent of a business and therefore has 25 per cent voting rights and wants to take the business in one direction, but there are other shareholders who own maybe 40 per cent who don’t particularly like that course of action, then the 40 per cent can effectively block the 25 per cent. A board which wants to force through its course against the will of other shareholders, can create and sell more outstanding shares through private placements to people who they know will support them, thereby increasing their effective stake and simultaneously reducing the ownership shares of those shareholders who don’t support that course. I know what you are thinking. Surely this can’t be right, and you are right. According to the rules, it shouldn’t be that easy. First, according to most corporate governance rules, boards are not allowed to organise private placements without the approval of shareholders. There are valid reasons why a company would want to sell new shares privately, of course, but those are typically only when they are desperate for new capital. But if boards need shareholder approval for this kind of dilution, then why don’t the shareholders who are at risk of their shares being diluted prevent this from happening? Well the unhappy shareholders can only prevent this kind of thing from happening if they know where the meetings are taking place. If they are systematically excluded from the general meetings, then they cannot act or vote against such actions. This phenomenon repeats itself across many countries with weak corporate governance rules and enforcement and appears to be repeating itself here in Nigeria in the case of NEM Insurance. NEM apparently organised an annual general meeting, which some shareholders were not told about, at least not with the mandatory 21 days’ notice. At the AGM, the shareholders present approved a plan for a new private placement in which shares were to be sold at below the market value of the shares that are publicly traded on the stock exchange. NEM has been one of the better performing insurance companies in recent times, hence it was not clear if there was any emergency cash need. And of course, some shareholders appeared to have been systematically excluded from the AGM by not being notified on time, and therefore were not able to vote against such a plan. As expected, those shareholders are now up in arms fighting against what looks like a brazen attempt to dilute their stock. This kind of shareholder infighting is obviously not good for the company. It has the potential to derail the focus that companies, especially publicly listed ones, need to run efficient operations and it casts a cloud over the long-term viability of the business. If board members can implement such an operation, then who is to say they won’t do similar things to future investors? It is in the interest of all shareholders to resolve these issues by following the properly laid out rules and guidelines and to resolve them quickly without putting the overall health of the business at risk. It is also in the interest of the regulators whose job it is to ensure that businesses, especially publicly listed ones, maintain good corporate governance codes, as businesses tend to learn from each other. If one business gets away with sharp practices, then other try their hand at it as well. If everybody starts engaging in sharp practices, then the overall health of the system suffers. Perhaps the regulators, who are the enforces of good corporate governance, need to take a closer look at this and set a good example. 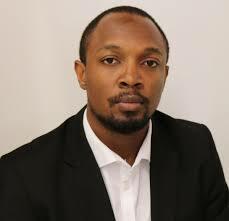 Obikili is an economist currently roaming somewhere between Nigeria and South Africa. The opinion expressed in this article is the author’s and do not reflect the views of his employers.